A masked abductor attacks Jason Dessen on his way home one night and sends him to an alternative reality where hike doesn’t marry his wife and his son does not exist. However, Jason has made major scientific breakthroughs and soon learns that a multiverse of alternative realities exist but he only wants to live in one. The premise of this sci-if thriller is fascinating and one that I have often pondered. 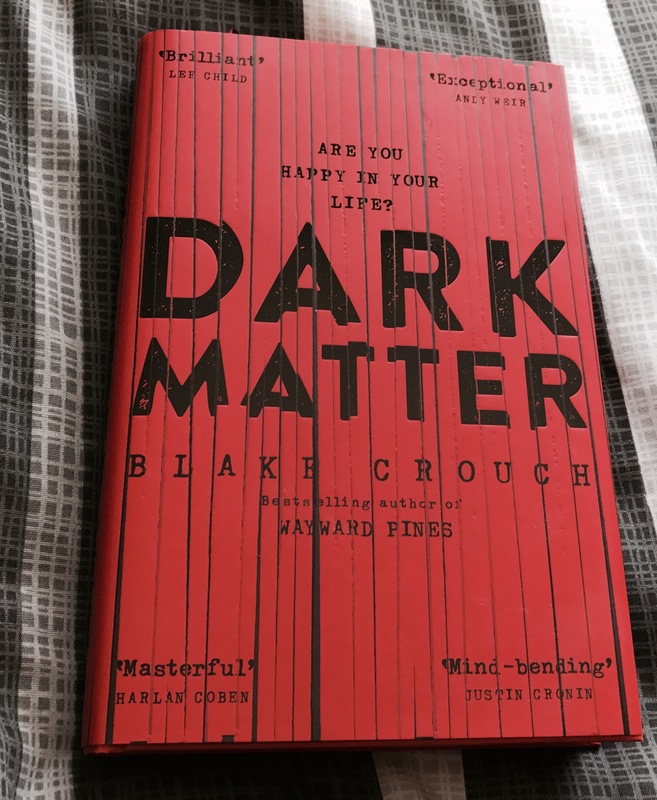 Not quite as intriguing as the Wayward Pines books, I still found this an enjoyable read. The paradoxes of Jason’s plight to find his way home and to text his family kept me turning the pages, but this is one I cannot see easily translating to tv or movie. This one was hands down one of my favourite books of last year. The idea of it all and the possibilities if it were true are terrifying! I really need to pick up the Waywood Pines series! I loved the slow burn technicality of this novel and part of me wanted more science to explain what was going on. It had an early Stephen King feeling to it. Hope you read it, I found it stimulating.